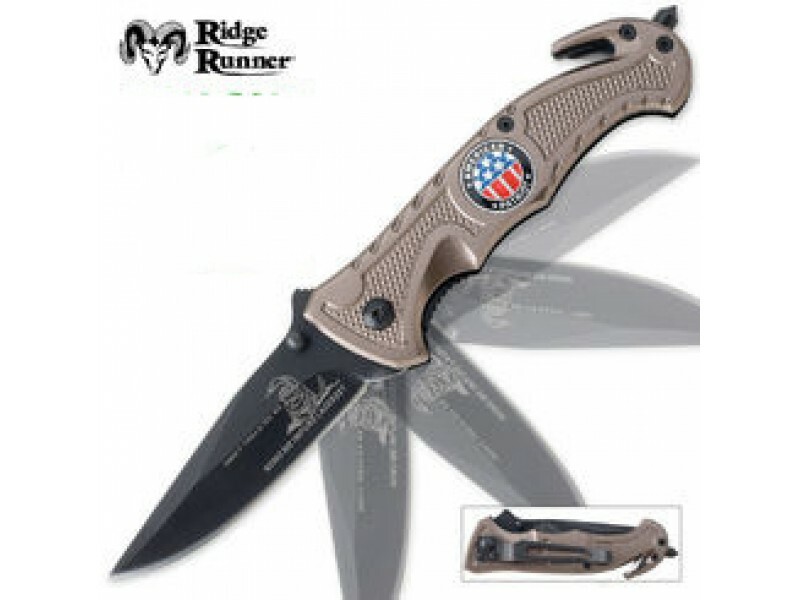 Buy Ridge Runner Don't Tread on Me Assist Folder , from Budk - RBC VISA for $17.99 only in My e-commerce. Don’t Tread on Me, my Country, or this knife. This lightning-fast, Ridge Runner® assisted-opening pocket knife is built to perform. 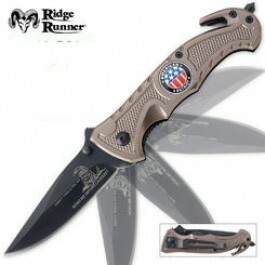 The 3 1/2" black-coated blade is laser etched with the Don’t Tread On Me logo and features a coiled rattlesnake. This performance knife also offers a glass-break spike and a seat-belt cutter for emergencies. Clip this workhorse on your pocket and you’re ready to go.